Not heading for Tokyo? Maybe Kobe or Shirahama will be in reach? If you’re heading for Japan it’s probably likely that you’ll be heading for Tokyo at some stage. Why not add some Black and White Panda love? Tokyo is home to two Giant Pandas at the Ueno Zoological Gardens. Ueno Zoological Gardens is the oldest zoo in Japan. Founded in 1882, it has grown over the years, expanded its area to 14.3 ha (35.2 acres) and been the flagship of the Japanese zoo world. Now it’s home to over 2,600 animals from 464 different species and provides visitors with learning experience about the diversity of animals as well as fun and enjoyment. Located in Ueno Park, Taito-ku, Tokyo, the zoo is 5-10 minites’ walk from JR Ueno Station, Subway Ueno Stations (Ginza-line or Hibiya-line), Keisei Ueno Station, or Subway Nezu Station (Chiyoda-line). The Zoo is home to Ri Ri and Shin Shin who arrived in 2011. You can grab a PDF Map of the park to better plan your day. The Zoo opens at 9:30am and closes at 5pm. The Zoo is not open on Mondays. Zoo Negara – Pandas in Malaysia! 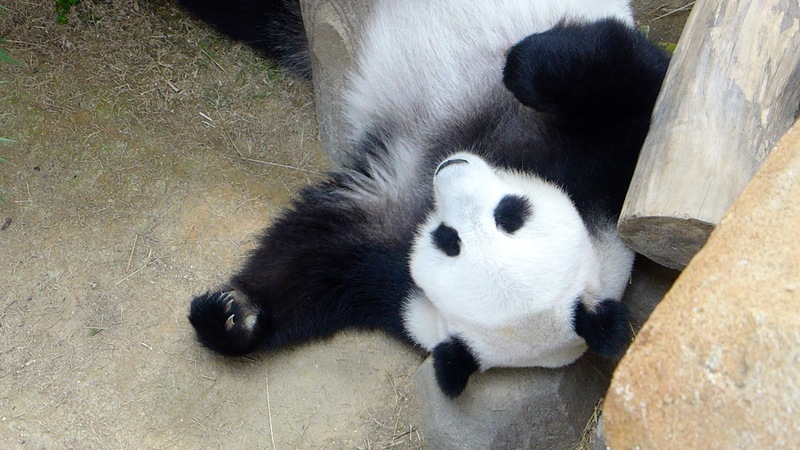 It may be becoming clear to readers of this blog that I’m a fan of Pandas. Not obsessively, but lets just say I think they’re awesome. While Bukit Bintang may be more centrally located in Kuala Lumpur Zoo Negara certainly feels a little out of the way. I used the MyTeksi “GrabCar” Service which hustled me to the Zoo for 30RM. The car was clean, driver friendly and the trip was a little quicker and more comfortable than the Mono-rail-Train-Taxi combination recommended by some. I was dropped off at the carpark entrance so a short walk up to the main entrance was in order. After paying the 85RM entry fee I pushed through the turnstiles and entered the zoo. It was finally my chance to form my own impression after reading hundreds of reviews and forum posts on TripAdvisor which were less than complimentary. Malaysias Zoo Negara is not the most modern zoo, not is it the best maintained “old style” Zoo I have seen but I would not say boycotting attendance over this facts is in any way an effective strategy, I would counter that more International Visitors, more support and more encouragement are in order. You’ll still find some of the animals in small exhibits, you’ll still see “pacing” and other traits of boredom, but to be honest you can see that at just about every zoo in the world. A rare exception may be the open range zoos where the sheer size of exhibits counteracts it. 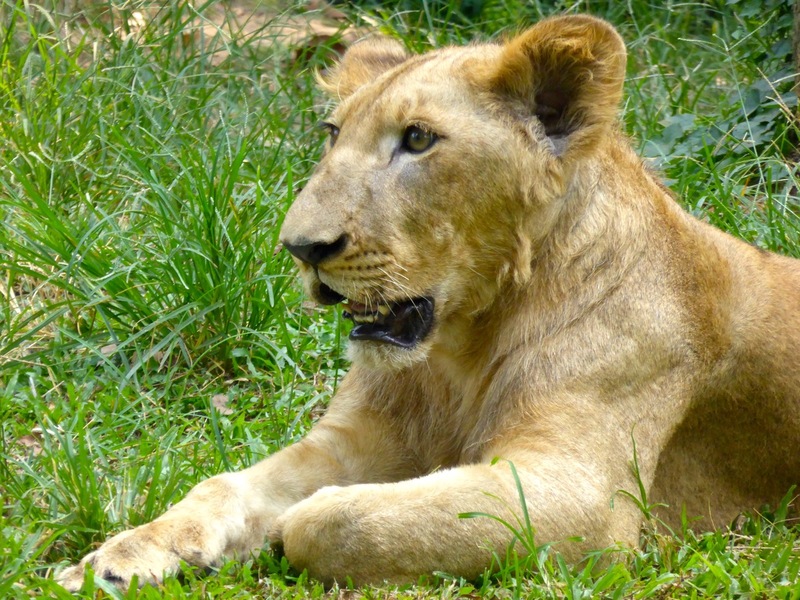 There are signs throughout the zoo indicating that there are changes underway, and I certainly saw no signs of outright abuse that some of the TripAdvisor forum posts talk about. Like most zoos you end up walking along a number of paths that loop and wind around the park, it’s not a massive zoo so you can take time to look at the animals, take photos at a relaxed pace and still not consume a full day. Starting early – closer to the 9am opening time – will give you an hour of two in the relatively “cool” part of the day. As the sun starts warming up there’s adequate shade but the animals are also keen on staying out of the heat. The standard exhibits are all there, many looking a little ramshackle or run down, the usual array of big-cats, African savannah “game”, Malaysian & Asian Locals as well as some representatives from Australia. My pictures certainly don’t cover all the animals, but I was there for one of the most exotic animals, the Giant Panda. After I saw my first Giant Pandas in Hong Kong I hadn’t really expected to see more (well maybe the pair in Adelaide) until we’d be able to make the journey to Chengdu in China. So when I made my trip to Kuala Lumpur in 2014 I kind of overlooked the opportunity,so this year I was going to set that right. The Giant Panda “enclosure” is built at the back of the Zoo and is a completely separate building/exhibit which has it own entry fee that can be purchased either at the Zoo entrance (as I did – making my total entry fee 85RM) or at the Panda exhibit. Around the exterior are a number of less life-like Pandas you can use as photo props, a wandering Panda suited photo opportunity and the typical stands of bamboo to complete the very panda-centric environment. Once you’ve been scanned in, you enter a “briefing” area where groups are given an introduction to the exhibit, reminders of the rules (no loud noise, no flash photography). The intent seems to be groups run through the exhibit in 30 minute blocks, however thanks to my early start I was able to stay much longer in the air-conditioned exhibit, as the crowds never built up to a point where the staff had a need to move on groups. The exhibit itself is small, and follows the pattern of a raised walkway dividing the exhibits with the Pandas relaxing on either side. After I’d taken and sent a bunch of Selfies around to people back home the path through the exhibit enters a small gift-shop of Panda Merchandise and finally a cafeteria where I had to try a Panda CupCake. Last stop is picking up the souvenir photo with the suited Panda out the front before emerging back in Zoo Negara to wind back to the front of the park. Zoo Negara is not the most impressive zoo I’ve been to, some visitors may find the exhibits run-down and in the style of zoos of old. The range of exotic animals is fairly typical, however the addition of the Giant Panda exhibit makes this a “must do” activity in Kuala Lumpur. There’s only ~51 Pandas on exhibit outside China and this is on of the best value opportunities to see two of them!